Last week, I was lucky enough to hang out with TWO classes of Kindergarteners at Westwood Charter School here in Los Angeles. This was another visit that was part of my Poetry: Spread the Word project, and it was an absolute blast. Now, I'll admit, I was a tad nervous about spending two hours with kids that young (I did back to back hours with separate classes, not two hours with one group!). 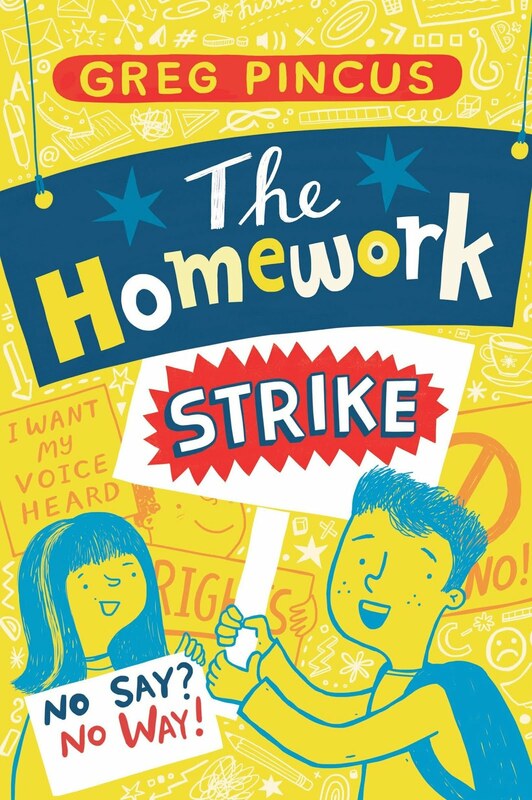 But they were engaged, engaging, constantly coming up with fabulous ideas, laughing a lot, and clearly in classrooms where poetry and language were valued. 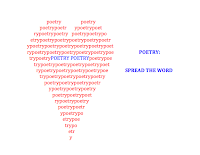 We read some poems, brainstormed, shared stories, and in one case wrote a poem together. Good times, indeed, and further proof that poetry and kids mix well no matter what age! Hooray for J. Patrick Lewis, New Children's Poet Laureate! Last Thursday, the Poetry Foundation named J. Patrick Lewis as the new Children's Poet Laureate, taking over for Mary Ann Hoberman (who took over for Jack Prelutsky). The field of children's poetry has sooooo many amazing people in it and this two year Laureate term could have gone to many others and been a smashing success, I'm sure. Yet I admit I cannot wait to see what the next two years brings from Pat and for children's poetry, as I know he's going to put his stamp on this... and we're all gonna enjoy the ride. And hey... before you go off and explore the J. Patrick Lewis website, you can poke around here for a few visits he's made, too: A Sixth Grader Sees the Future, The Voice of the Voiceless, and The Poet of the World. Oh, yeah, one more thing... Congratulations! Wow! With a Dose of Totally Wow! Thank you all for your support - comments, tweets, FB stuff, good vibes, pledges, Likes, and ideas galore. I'm excited, gratified, humbled, and truly looking forward to posting 100 poems and getting into 59 schools, in person or virtually. The above video (and if you subscribe to the blog and can't see it, please click here) is from my Kickstarter project, Poetry: Spread the Word. I think it explains why I'm doing what I'm doing and why I think my project is "a good thing." Only 36 hours left in the funding period for Poetry: Spread the Word as I publish this. Thanks to all for your support in pledging, encouraging, and spreading the word, too. It's incredibly appreciated (and, ya know, there are still 36 hours to help :-)). Skyping with Explorer Elementary 5th Graders! On Thursday, I had a Skype class visit with a fantastic group: Karen Feitelberg's fifth graders at Explorer Elementary School in San Diego. Their fabulous librarian, Roxyanne Young, arranged the visit... something that came about because of my Poetry: Spread the Word project! During the visit, I gave some of the history of Fibs and got to hear them read some great examples they'd written. There were Fibs about all sorts of subjects... and even a Fib about not wanting to write a Fib! We ended by writing a group Fib first draft about pandas (or one panda, I suppose). We had time for Q+A, too, and the students had some really great questions to ask... from what inspires me to write to how they can reach a bigger audience with their writing. What's so exciting to me is that I'm going to be able to do a lot of these visits thanks to Poetry: Spread the Word. We're in the last two days of the funding period - all pledges now help me give away more visits just like this one - so if you were thinking of checking my project out, now is surely the time! At their best, visits are educational, inspirational, and aspirational (in both directions, really), and so many of you who read this have become patrons of the arts, enabling these visits with your support. I can't thank you enough... and, I think, there will be a lot of students out there who will thank you, too! Lee Bennett Hopkins - Good Books, Good Times! © l985 by Lee Bennett Hopkins. Used by permission of Curtis Brown, Ltd. I bet a lot of you know Lee Bennett Hopkins' Good Books, Good Times! I know I've heard him and this poem in person - a "good time!" indeed. No matter if it's new or familiar to you, though, it's a great summation of the month just past... and a preview of all the months ahead at GottaBook and, I suspect, wherever any of you are, too. When Lee suggested it might be a good fit here, I agreed (and, since I'm taking a couple day blogging break here, what better message for visitors to find!). Besides being a remarkable poet and anthologist, Lee Bennett Hopkins has probably done more for children's poetry and children's poets than... well... probably than anyone. He's founded awards, he's lobbied, he's advised, he's promoted, he's encouraged, and most of all, he's inspired with his generosity of spirit and his love of poetry. It's always a pleasure to have him come a-visiting, and I'm thrilled to celebrate good books and good times with him and you all. By the way, if you haven't seen the new LeeBennettHopkins.com site, you should head on over and check it out. Also, the Lee Bennett Hopkins Poetry Award Teaching Toolbox - a new blog created by librarians, teachers, and students (not Lee himself) - is well worth a visit. I've Got a Matching Grant to Help Spread the Word! 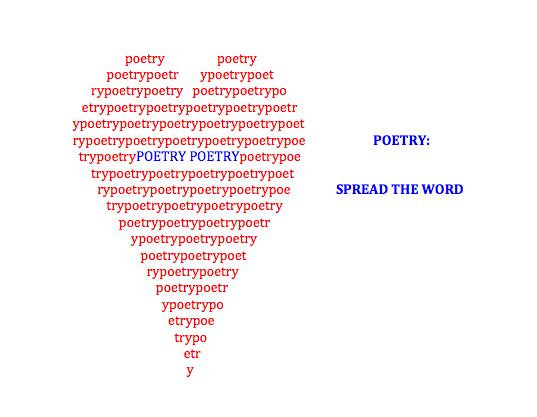 I'm excited to tell y'all that I've got a matching grant of $500 to help my Poetry: Spread the Word project. 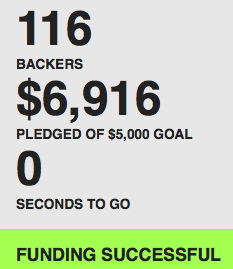 This means that for the next $500 donated (or maybe it's down to $400 at this point since pledges have been coming in! ), it'll be matched dollar for dollar to help me be able to give away more visits to more schools. I must add that I'm so touched and gratified by all the support the project and I have gotten. Yes, the financial support is fabulous (see below! ), yet I appreciate every tweet, comment, email, "like", Facebook update, and everything that folks are doing to help. Believe me - I know that contributions aren't possible for everything we all want to help. Support, though, comes in many ways, and it's really been amazing to see. So, thank you! Probably the biggest news in all of this, by the way, is that as of yesterday, Poetry: Spread the Word hit its funding goal! This means I'll be visiting (virtually or in person) 40 schools over the next year and posting 100 poems here, too. And we're not done - for every additional $100 raised, I will give away another visit. Right now, this already means five more schools... and I hope it will be many more. Again, thank you all. We are spreading poetry, and that, I think, is a beautiful thing. 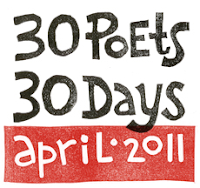 What a long, wonderful, jam-packed edition of 30 Poets/30 Days (neither of which is accurate this time around) it's been. I had such a blast, I must say. One bit of news for the eagle-eyed among you: Kenn Nesbitt was listed on the announcement post but due to my late ask, his busy schedule, and my rule that this event is never about stress, his poem is going to come at some point in the future. Since he was one of the reasons the first edition of this event came together (and because he's wildly funny), I will be happy to have him here anytime at all! There are, as always, so many people to thank for making 30 Poets/30 Days possible and successful. First off, thanks to all the poets for their generosity in being part of this celebration. Thanks, too, to all my friends in the blogosphere for their support and ideas all year round, not just now. I must give one more big hat tip to Mary Peterson for designing the logo. And finally, huge thanks to all of you who subscribe or come on by these parts and make doing this so worthwhile. Poetry's a year-round thang here, so I hope you're not going away. 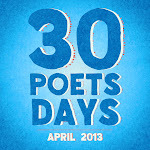 Besides, it's only 11 months until National Poetry Month is here again! I'm looking forward to that and everything before it... but for now, I gotta book. It’s the question her mother keeps asking. Snap her fingers and make it screech to a halt? are the only two words this mother can say. thought, how close is the moon, reached out to touch it. the one her daddy gave her when she turned sixteen. dangling from the rearview mirror. She would cry if she could remember how. Her mother can’t stop crying. watching for deer along the tracks. their tails a white flash of goodbyes. ©2011 Kathi Appelt. All rights reserved. True confession time: I haven't always been a fan of free verse, and that fact often still hovers way in the back of my brain. When I read Kathi Appelt's poetry, however, that distant thought never crosses my mind. I don't think there's time, really, as I'm instantly caught up (like I was last time she was here), engaged, reveling in well turned phrases and perfect, juicy words... even when the subject matter's not easy. Her fiction's the same way. Her most recent novel, Keeper, ended up on seven slews of year-end 'best' lists, and followed up her Newbery Honor/National Book Award finalist The Underneath with more of the wonderful, poetic writing that just plain works for me (and, clearly, for many, many, many others!). 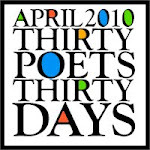 I am, as I said last time, a fan indeed... and am very excited to have Kathi Appelt here wrapping up this year's edition of 30 Poets/30 Days. Yesterday we had The Alphabet: A Found Poem by Jane Yolen. Tomorrow... a wrap up of the 2011 festivities!